Nanotechnology Programme has been concentrating mainly on following to make India a front runner in the field of Nanotechnology. A major initiative has been taken to create the Nanoelectronics Centres at various places in India to provide access to professional expertise, training and development, supporting collaborations. 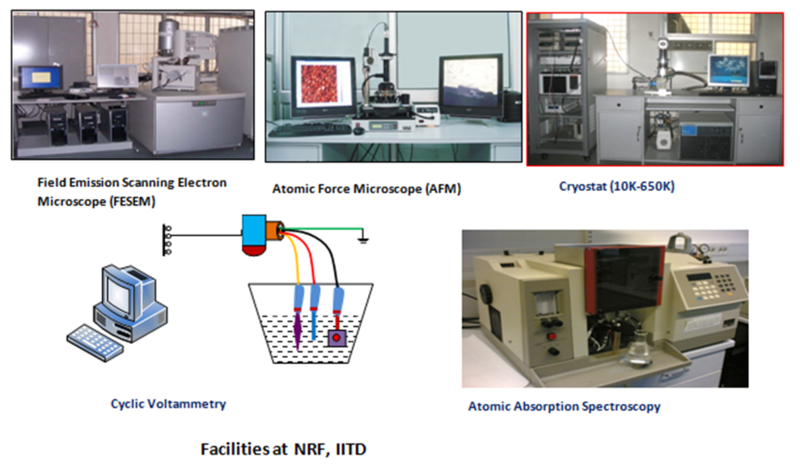 Centre for Excellence in Nanoelectronics project (CEN) has been established at IISc and IIT-B with the state-of-the-art nanofabrication facilities of international standards providing a catalyst for ambitious research initiatives in area of Nanoelectronics. 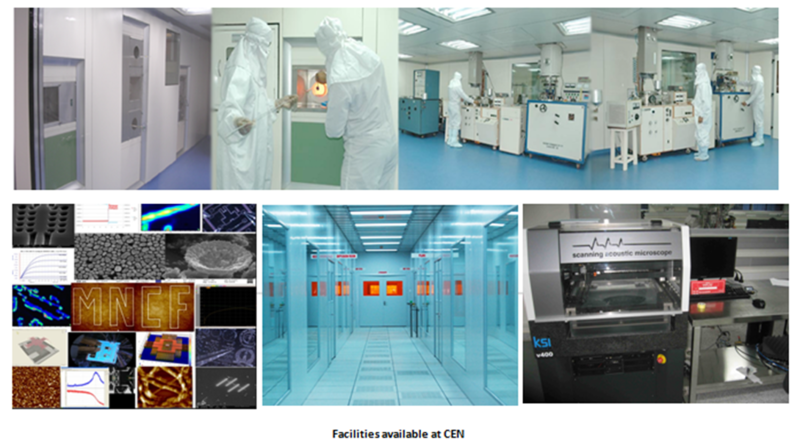 The project CEN Phase II is a natural extension of CEN and was initiated in January 2012 to be jointly implemented by IISc Bangalore and IIT Bombay to accelerate research and development activities in new areas of nanoelectronics, nano-materials and nano-structures and integrated sensor system, and to generate a critical mass of highly trained manpower to propel these areas. A unique joint major project entitled "Indian Nanoelectronics Users Program (INUP)" was launched to make available the CEN facilities created at IISc and IIT-B to researchers from all over the country for experimental research using nanofabrication. 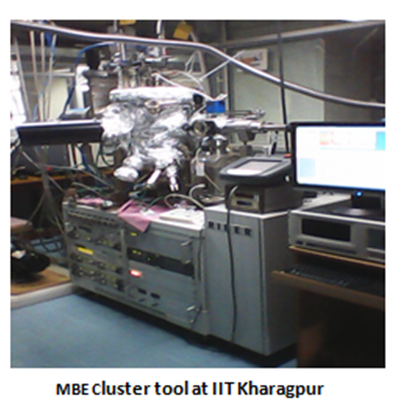 The major highlights of the project include the following: Imparting a hands-on training in nanoelectronics, assistance in research by enabling execution of work of external users at these centres, collaborating with research teams from other Indian centres to develop joint programs in nanoelectronics, provide a platform to researchers in Nanoelectronics to come together and benefit from complimentary expertise and conduct regular workshops for a wider dissemination of knowledge in Nanoelectronics. In addition to this, human resources are being created in all the R&D projects under this programme. INUP Phase II was initiated in March 2014 at the CENs of IISc Bangalore and IIT Bombay to continue to facilitate and support the generation of expertise and knowledge in Nanoelectronics through participation by external users in INUP and their utilization of the facilities established at the Centres of Excellence in Nanoelectronics (CEN) at IISc and IITB. The reach of INUP will be extended to a larger number of researchers through a variety of new and expanded initiatives for advanced training and research. Till date around 3000 manpower has been trained, 20 patents have been filed, 250 research papers have been published and 150 Ph.D thesis have been supported under the programme. This project involves setting up of a nanofabrication facility at IIT Delhi for developing Nanofabrication processes and their use for making non-silicon nanoscale devices. The project also aims on building and demonstration of select device prototypes in specific research areas. The aim of the Centre is to develop facilities for fabrication and characterization of micro/nano electronic devices aiming applications in Theranostics (a combined terminology for therapeutics and diagnostics) with focus on the development of surface acoustic wave (SAW) devices, MEMS/NEMS prototypes, and FET devices applicable for (i) pathogen detection (ii) diagnostic tools for biochemical assays (iii) diseases such as pancreatitis (iv) markers for cancer diagnosis and (v) sensor for whole cell detection etc. Esophageal, hypo pharyngeal and oral cancers are common, probably due to the habit of consumption of betel-nut (Areca nut) and higher use of alkaline food, in the North East, India. The Centre will provide the new opportunities to the researchers of North Eastern region and will cater to the local needs by the development of low cost health and agriculture sensors. The aim of the project is to promote Nanotechnology in areas of health, food safety, communication and material science. 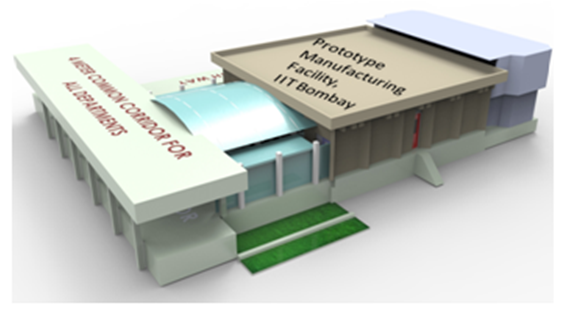 The main aim of the project is to set-up a Centre for Prototyping and Testing of Nano-Sensors and to provide a facility to fabricate and manufacture Nano-Scale devices by Incubator Companies, Industry participants, researchers at IIT Bombay & other academic institutions including other government agencies. Such a facility will enable these entities to take their products from research labs to the market. The project is expected to facilitate production of products for health care and environment monitoring. 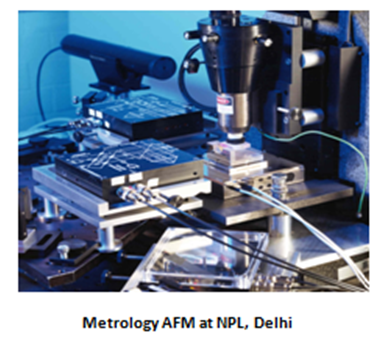 Calibration facilities for the measurement of electrical parameters such as voltage, current, resistance and charge in nano range have been established to serve as a national facility in NPL, New Delhi. MBE cluster tool based epitaxial nano-semiconductor infrastructure facility has been established for high performance RF/Microwave compound semiconductor heterostructure nano-devices on silicon for common user access. This project concentrate on developing Ge rich SiGe process on Si, Arsenide process (GaAs) on Si, Phosphide process (InP) on Si and Nitride process (GaN) on silicon.